A wedding in the wilderness at Kichaka is a romantic & hassle-free experience where the bridal couple can focus on their special day while we take care of the arrangements. Kichaka is ideal for small intimate weddings – the ambiance of Kichaka Lodge along with our attentive service will ensure an unforgettable experience for all. 20 overnight guests can be accommodated. A reception for a maximum of 30 guests can be hosted on our extensive terrace areas under canvass or the African sky. Accommodation in a 5 star luxury suite. Game drives, including sunset drive on the wedding night. Gourmet breakfast, lunch and dinner. Local beers, spirits, house wines and sparkling wines. Minister and all legal documentation. Wedding Photographer package including a CD. Wedding Flowers and petals for the ceremony. 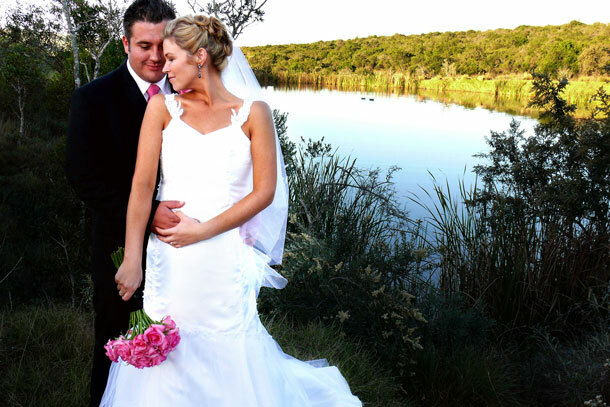 Wedding ceremony within Big 5 game reserve. Live piano music to accompany ceremony and afterwards. We are happy to discuss and arrange other details to tailor your wedding according to your own personal requirements. 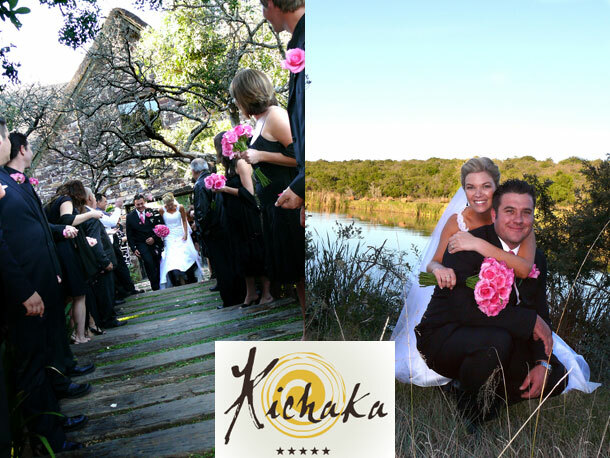 To book your hassle-free wedding at Kichaka visit Kichaka.